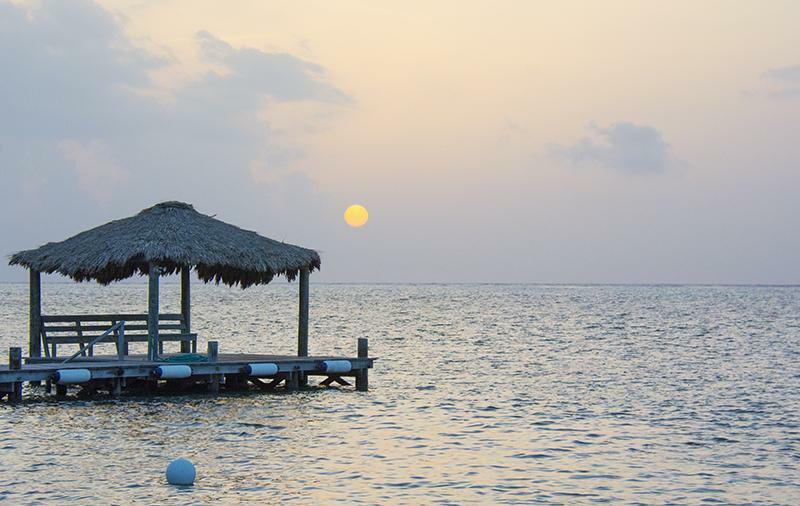 Belize NMS: Warm and mostly dry weather conditions prevail. 24-hour forecast: Sunny skies today and partly cloudy skies tonight. Isolated showers or thunderstorms. Today: Winds: East 10-20 kts. ; seas: Choppy -moderate; waves: 3-5 ft.; isolated showers or thunderstorms. Tomorrow: Winds: E/NE 10-20 kts. ; seas: Choppy - moderate. ; waves: 3-5 ft.; isolated showers or thunderstorms. Marine Outlook: Friday night:- Winds: E/NE 10-20 kts. ; seas: Choppy -moderate. ; waves: 3-5 ft.; isolated showers or thunderstorms. General Outlook: Through to Saturday morning: A slight increase in cloudiness and showers. On Ambergris Caye this morning the sea is very calm and the breeze is from the ESE at 5 mph. Thanks for this daily comprehensive report! My first stop each day.